In order to meet the launch date goal, NASA has awarded a contract worth approximately $113.2 million to build primary instrument components to Boulder, Colorado’s Ball Aerospace. 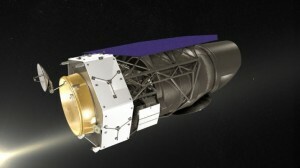 The next-generation space telescope will take around $3.2 billion to be constructed when it’s all said and done. “It’s going to be getting the biggest pictures of the universe we’ve ever had,” said Claire Saravia with the communication’s office at NASA’s Goddard Space Flight Center in Maryland.